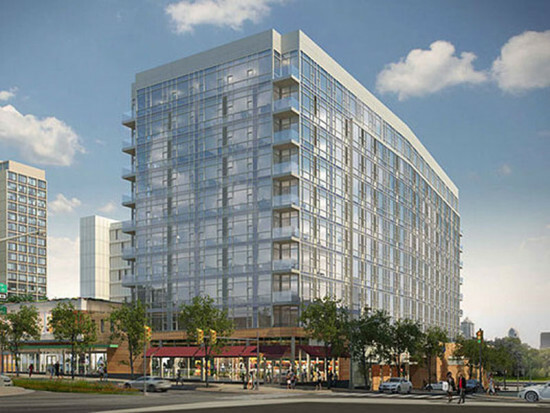 Philadelphia‘s Logan Square, home to the Penn Center and much of the city’s cultural district, is now experiencing an influx of commercial and residential development. The city just gave developer Neal Rodin the green light to move forward with his eponymous three-acre mixed-use project, Rodin Square. The Philadelphia Inquirer reported that Bethesda, MD–based firm MV+A Architects will design the $140 million complex, which will include 293 luxury apartments and a 60,000 square foot Whole Foods with additional retail space. The nine-story building (with 5-stories of parking) will feature a roof terrace with open space and an outdoor pool. This project is one of many high profile developments in the area, including the recent completion of the Barnes Foundation and the conversion of the Family Court building into a luxury hotel.